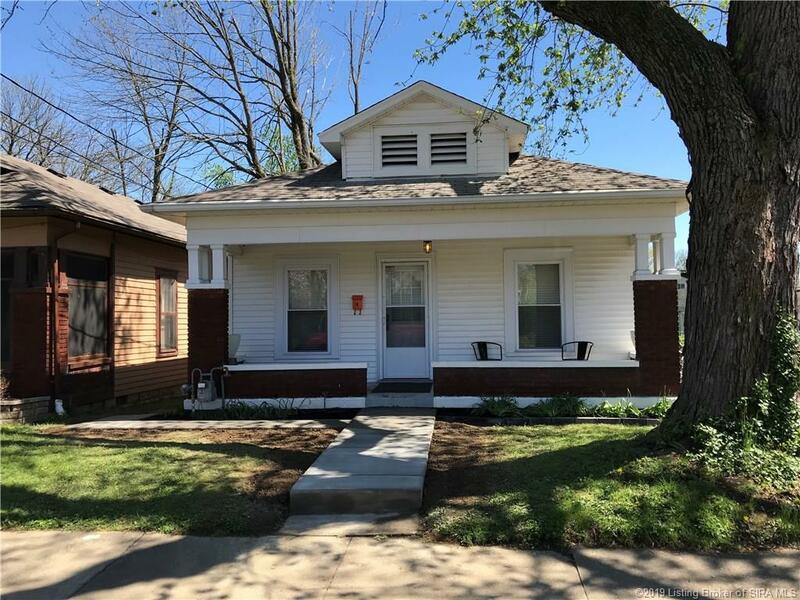 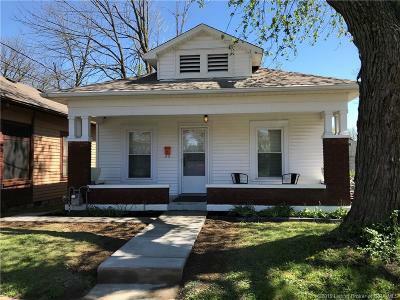 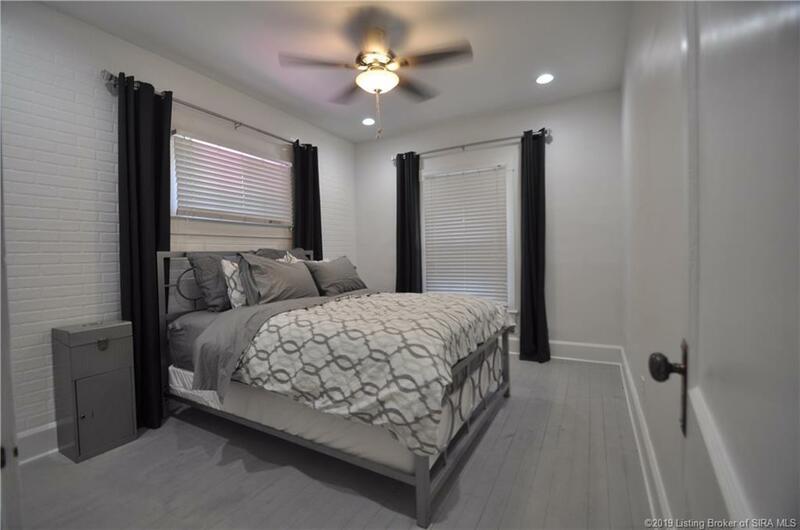 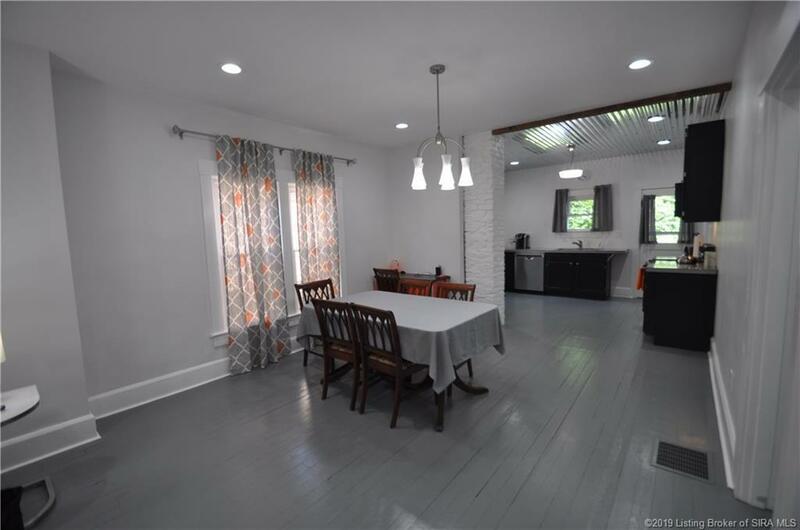 This charmer is located on a very quiet side street about 1 mile from downtown New Albany and 15 mins to downtown Louisville. 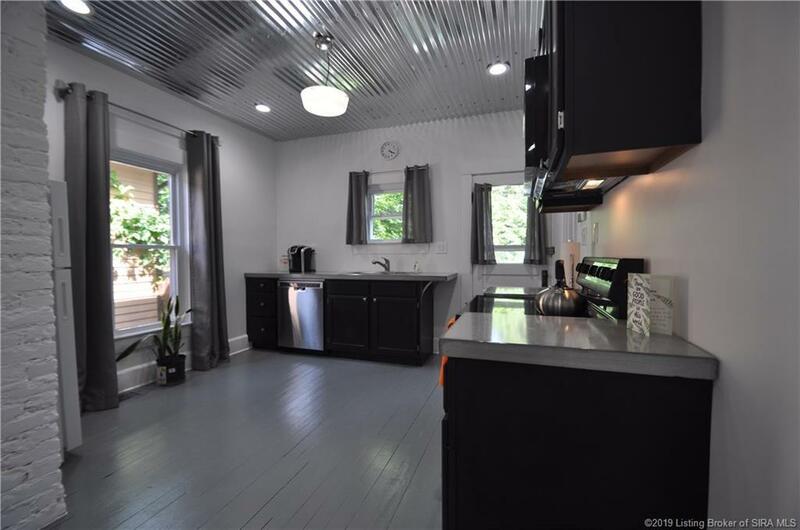 The modern touches go perfectly with a minimalist decor or urban farmhouse furnishings. 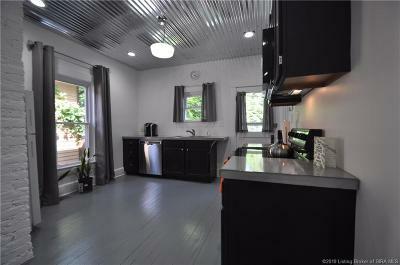 The house has a open floor plan with a combined living/dining/kitchen space for easy entertaining. 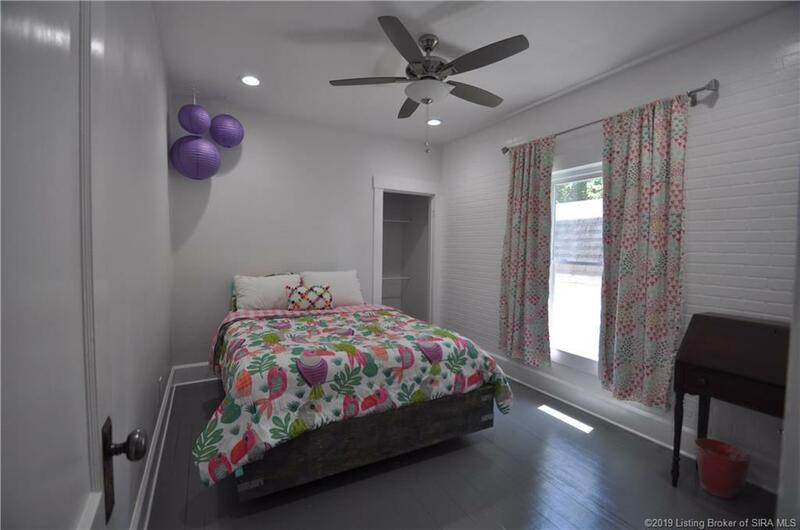 Both bedrooms have nice size closets for home this age. The glossy grey floors are super easy to keep clean. The home also has a full basement for extra storage and the laundry room is located there too. Directions: State St To Clay St, Home On Right.